A memorial service to celebrate the life of Donna Louise Anderson Champagne, 62 of Lancaster will be held at a later date. 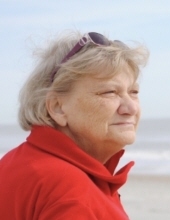 Donna died Saturday, February 9, at her home. Born in Detroit, Michigan, she was a daughter of the late William and Annie Mae Jordan Anderson. Donna was employed by Mecklenburg County as an administrative assistant. She loved to read, make crafts and always greeted everyone with a smile. Surviving are 2 sons, Robert (Jen) Champagne of Willmar, MN, Terry (Amber) Champagne of Pageland, SC; 8 grandchildren, Akeysha, Taylin, Carter, Caden, Cameron, Rylan, Madison and Karsyn; 1 great grandson, Kyland; a brother, Jim (Mary Jo) Anderson of Missouri City, TX and a sister, Sherry (Joe) McLemore of Lancaster, SC and many nieces, nephews and a host of friends. The family would like to thank all of her co-workers for the love and compassion shown to Donna during her illness. Memorials in her memory may be directed to Kindred Hospice. Baker Funeral Home is serving the Champagne family. To plant a tree in memory of Donna Anderson Champagne, please visit our Tribute Store. "Email Address" would like to share the life celebration of Donna Anderson Champagne. Click on the "link" to go to share a favorite memory or leave a condolence message for the family.